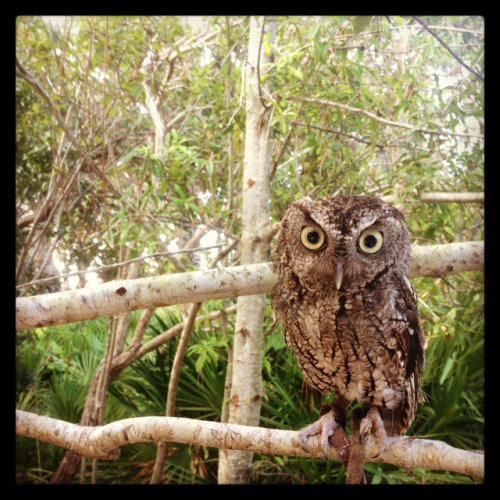 The raptors at McGough Nature Park are all non-releasable birds of prey that rely on us for their care. Food costs alone are $3400 per year and continue to increase as food costs rise and our collection of birds of prey expands. Additional costs include vitamin supplements, handling and transport equipment, enclosure maintenance, and veterinary care. The Friends Of The Largo Nature Parks volunteers are responsible for bird care and all associated costs. You can help by participating in our Adopt A Raptor program. We are a non-profit group with full tax exempt status and your donation is tax deductible within context of the law. Every donor has the option to forego the package offered and direct their full donation to raptor care. Donors who choose this will receive a letter of appreciation and tax receipt. Franklin was found on a 20 acre tract of land at the Pasco/Hernando border by a private land owner. He had a complicated fracture of which the cause is unknown and was treated at Busch Gardens Animal Care Center prior to being adopted by McGough in May of 2012. Prior to coming to McGough in September of 2012, Eleanor was rescued on Fox Hollow Golf Course in North Pinellas. 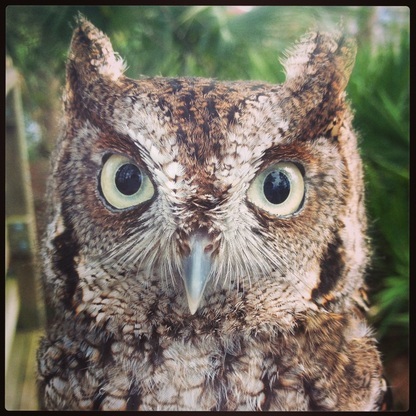 She was treated at Busch Gardens Animal Care Center for eye injuries which could have been caused by the talons of another owl or an eagle or some other unknown cause. Goliath was found in the engine of a lightweight truck that had traveled from Largo, FL to a Honda dealership in Palm Harbor, FL. When the mechanic popped open the hood he found Goliath inside clinging to a small wire. She has a permanent wing droop due to an improperly healed fracture. Matilda was likely hit by a car in the East Lake area. She suffered a wing fracture resulting from the incident and now has a permanent wing droop that prevents her from flying effectively. 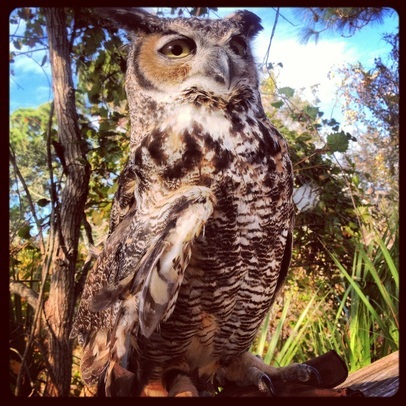 She was taken to the Suncoast Seabird Sanctuary in February of 2012 and lived in the owl house there prior to coming to McGough. A private citizen dropped off Shay at Palm Harbor Veterinarian in June of 2012. At only 8 weeks old her wing was shattered. Unable to be pinned, the veterinarian amputated a small portion of her wing. Afterwards she was cared for and trained by McGough Nature Park Volunteers.